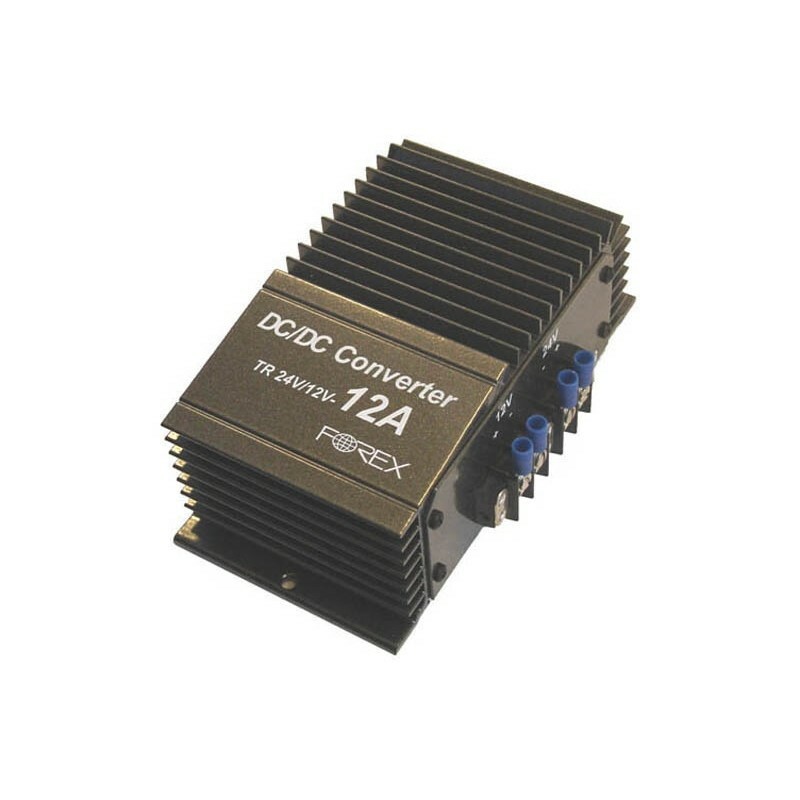 With FOREX 24V -> 12V converter cars with 24V electrical system CAN use 12V devices (radio receiver, GPS, TV, computer, coffee stove, etc.). The device is protected against overload, short circuit and surge protector exits. The device can be used in trucks, buses and everywhere, where two 12V batteries connected sequentially. The device polarity must be observed. Recommended to use 2.5 mm diameter wires. The device is designed to unify the charge voltage when the two rechargeable batteries connected in series. Due to the different resistances to combine two different rechargeable batteries - which results in a battery can be "crowded", the other - insufficiently charged. This device unifies the charge voltage of both batteries and avoid the charging voltage spikes. The device can be used in trucks, buses and everywhere, where two batteries connected sequentially.